The 2017 NBAA Business and Aviation Convention and Exhibition will be held Oct 10-12 at the Las Vegas Convention Center, 3150 Paradise Road Las Vegas, NV. 89109. Register online at nbaa.org or on-site in the Grand Concourse of the Convention Center or at Henderson Executive Airport, 3500 Executive Terminal Drive, Henderson, NV. 89052. Booking early has many advantages. 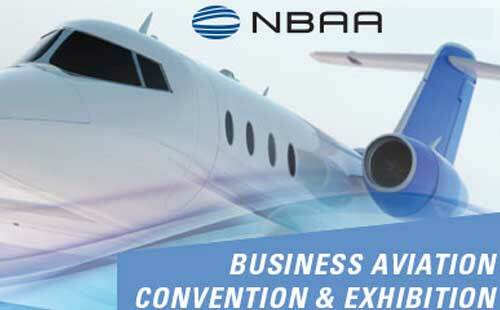 Enter a few details below to start planning your private jet flight to the NBAA Annual Convention. 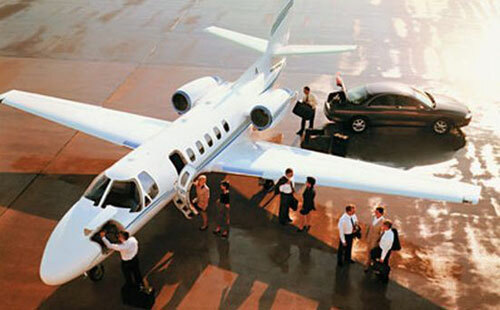 Business aviation is no longer a luxury of the rich and famous. In an increasingly global economy, it’s becoming a necessity for many smaller businesses. Every year business aviation experts gather for the National Business Aviation Association’s convention, which alternates each year between Las Vegas and Orlando. In what has become one of the Top 10 trade shows in the United States, some 26,000 owners, operators, manufacturers and customers convene to do business, buy aircraft, share secrets and plan for the year ahead. There are more than 1,000 exhibits, dozens of special break-out sessions and 100 aircraft on display. Business aviation supports 1.2 million stable, high-wage jobs. Business aviation is a lifeline for thousands of communities. There are more than 5,000 public use airports in the U.S. but only about 500 of them have commercial airline service. Travelers in mid-size cities, where airports have been abandoned by commercial airline companies, are increasingly relying on business aviation for flights. The vast majority of companies who rely on business aviation are small- and medium-size companies. Business jets are not just for company executives. Seventy-four percent of trips are taken by sales, technical and middle management employees. America leads the world in manufacturing with half the general aviation airplanes made in the United States being exported. There are all kinds of business aircraft, propeller and jet, plane and helicopter. Planes range from those that are not much bigger than a car and have to stop to refuel every few hundred miles to luxurious 12-seat jets that can make non-stop international flights. Most are somewhere in between, seating six passengers with a need to refuel every 1,000 miles or so. They either fly above – 40,000 feet – commercial aircraft or below – 20,000 feet.